NDSU’s Hayden Zillmer was named Wrestler of the Year, Clay Ream Freshman of the Year and Roger Kish Coach of the Year. OREM, Utah – As voted by its coaches, the Western Wrestling Conference has announced postseason award winners for the 2014-15 season. North Dakota State University swept the honors as 184-pound junior Hayden Zillmer was named the WWC Wrestler of Year, 149-pound redshirt freshman Clay Ream was tabbed WWC Freshman of the Year and Bison head man Roger Kish was chosen by his peers as the WWC Coach of the Year. The Wrestler of the Year and Freshman of the Year awards were voted on by the league’s head coaches this past week, while the Coach of the Year balloting was determined after the NCAA West Regional/WWC Championships last month. Zillmer capped off a stellar season with a sixth-place finish in his weight class at the NCAA Division I Wrestling Championships two weeks ago. 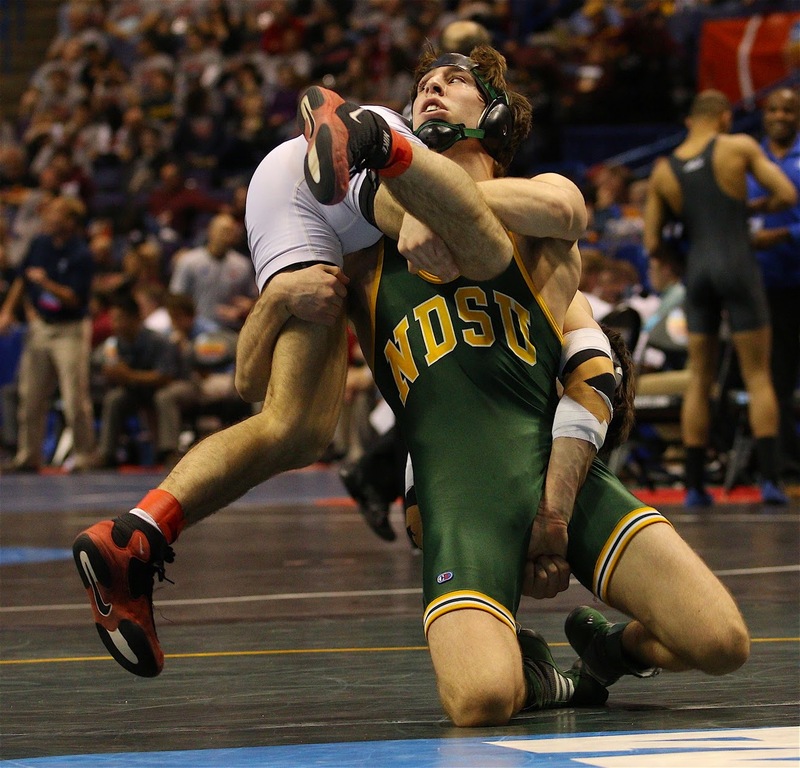 The Bison junior had to reel off five straight wins in the wrestlebacks after getting upset in the first round at nationals en route to earning the first All-America finish of his career. Zillmer, who entered the national tournament as the six seed at 184 pounds, finished his 2015 NCAA run with a 5-3 record. Two of his wins came over No. 2 Max Thomusseit and No. 4 Jack Dechow of Old Dominion during the streak and all five were over fellow seeded foes. Zillmer and his teammate Kurtis Julson were the lone two All-Americans in the WWC this year and marked the first time in program history that NDSU has produced two Division I All-Americans in the same season. Zillmer finished his 2014-15 campaign with a 36-7 record and a perfect 13-0 mark in duals. He was a three-time WWC Wrestler of the Week and won his second straight NCAA West Regional/WWC Championship title despite moving from 174 to 184 this year. The Crosby, Minn., native also took third at the prestigious Cliff Keen Las Vegas Invitational with a win over the then top-ranked wrestler in the nation and eventual national champion Gabe Dean of Cornell. He also placed fourth at the Midlands Championships and finished the year with eight falls, four tech falls and three major decisions. Zillmer also currently holds a 3.17 GPA while majoring in physical education. Ream qualified for the NCAA Championships for the first time by earning an automatic bid after winning the 149-pound title at the NCAA West Regional/WWC Championships last month. 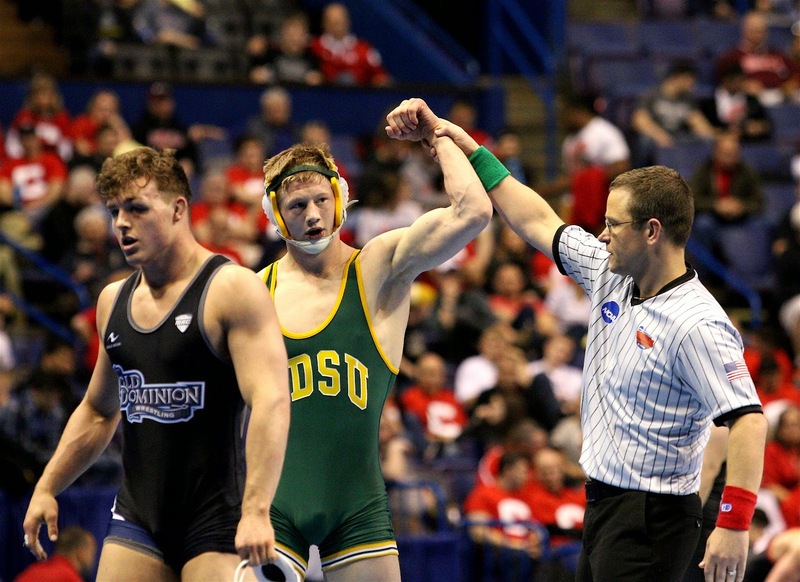 At nationals, the North Dakota State redshirt freshman put together a solid run as he finished with a 2-2 record with a pair of big wins over the 2014 NCAA runner-up Joshua Kindig of Oklahoma State as well as Hunter Stieber of Ohio State. The Wentzville, Mo., native finished the year with a 25-13 overall record, which included a 10-3 mark in duals. Ream recorded seven pins, five major decisions and one tech fall en route to tallying 25 wins on the year. He also placed fourth at both the Bison Open and the Warren Williamson/Daktronics Open, while maintaining a perfect 4.0 GPA in biochemistry and molecular biology. Kish, who just completed his fourth season as NDSU’s head coach, was named the 2014-15 WWC Coach of the Year. The honor is Kish’s third straight, as he also received the award for both the 2012-13 season as well as the 2013-14 one. This year, Kish led his team to both the NCAA West Regional/WWC Tournament title as well as the WWC regular-season dual title with an unblemished 5-0 conference record. Kish led his 2014-15 club to a 9-4 overall record, which included a 22-21 win by criteria over No. 18 Wyoming. NDSU also finished the season ranked 20th on the final NWCA/USA Today Division I Team Coaches Poll. Kish also helped the Bison send a school record six wrestlers to nationals this year, as well as coach a program best two All-Americans in Zillmer and Julson. The Western Wrestling Conference is comprised of six schools including the Air Force Academy, North Dakota State, Northern Colorado, South Dakota State, Utah Valley and Wyoming. The conference formed in April 2006.